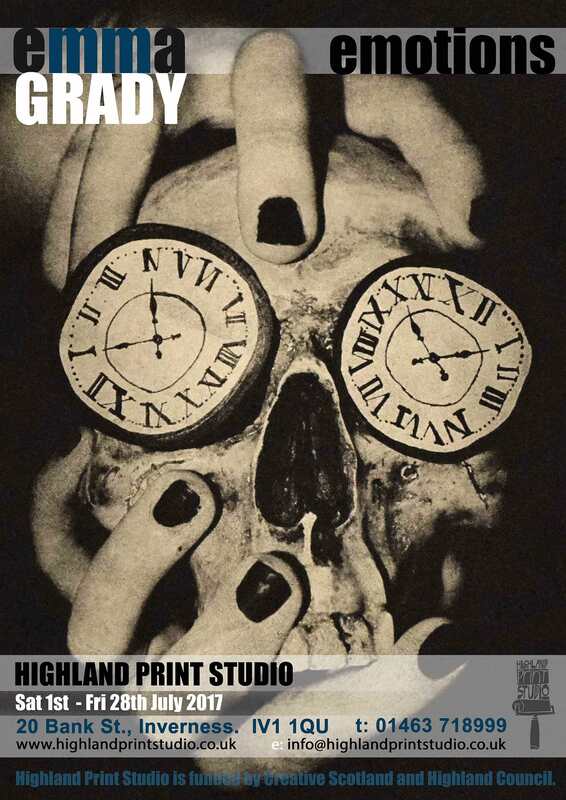 Our new exhibition at the studio is Emotions by Emma Grady, who is local to Inverness and has been a member of Highland Print Studio since she was 12. Now being 17, she has recently finished her 6th year at Culloden Academy and is going on to study Art at the Duncan of Jordanstone College of Art and Design at Dundee University in the Autumn. Throughout the last 5 years she has experimented with various printmaking techniques – this exhibition explores different human emotions and personality and shows a couple of 2-Plate Etchings, a 7-Colour Screenprint and Polymer Photogravures, all developed from either her original drawings or photographs. Emma’s ‘Emotions’ will be on show in the Studio until Friday 28th July – we hope you can stop by and have a look! Both Framed and Unframed versions of all the prints are available to buy through the studio.